With SunStream Vacation Club, you can own your very own slice of paradise. What you’ll get is more flexible than a timeshare, more exclusive than a hotel, and more convenient than a condo. Best of all, you’ll find an ownership level for every budget and lifestyle. Call or email us for more information, and join the club today. Give us a call at (866) 313-2547 or email us at vacationclub@sunstream.com. We truly enjoy vacationing at DiamondHead Beach Resort and Spa. We have been coming here for the past four years. First alone, then with our children and now we are vacationing with our grandchildren too. The rooms are great, the food is delicious and the amenities are outstanding. The perks of being an owner make a complete package. We would recommend this resort to anyone. In October 2009, we came to DiamondHead for our niece’s wedding. We were recently retired, so we extended our stay from a long weekend to a full week. We listened to the presentation about timeshare ownership, and although it was a package where you get “the most bang for your buck,” we really were not completely sold. As the days went by and we experienced the clean, comfortable rooms, the good food, great beaches, attractions, but most of all the friendly staff, we purchased a timeshare for two weeks and our daughter and son-in-law bought one week. Thank you, Diamondhead Beach Resort! We wrote a review last year regarding our previous visits as owners and have to provide anyone who is thinking about visiting and possibly investing in this property. Please do!! The management DOES listen to the owners and to the vacationers when it comes to recommendations to improve the property! We suggested an update to the fitness room and they delivered! New equipment and a larger space to enjoy a morning workout are greatly appreciated. Thanks so much! Over the past few years, we’ve always admired the beauty of DiamondHead from the outside and said we’d love to see the entire resort. Lynda took us on our tour and immediately made us feel at home. She answered all of our questions and never pressured us to make a decision. Everyone at the resort is so outgoing and friendly. After viewing the entire property, there was no question we wanted to join the family. We always enjoy our time here! The staff couldn’t be nicer and more accommodating. We especially appreciate the addition of the parking attendant and the room safe. Thanks again DiamondHead for another awesome vacation! 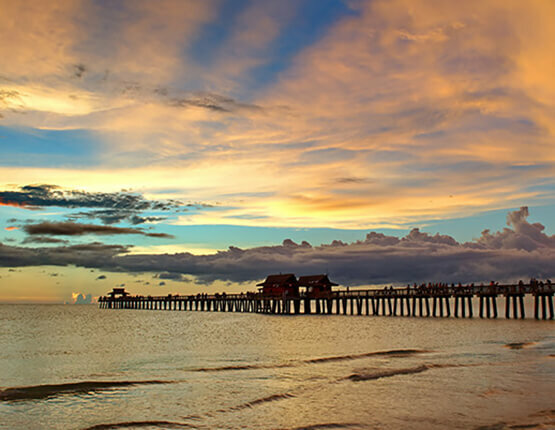 Our Vacation Club lets you own a slice of Fort Myers Beach paradise at DiamondHead Beach Resort & Spa. But what if you feel like vacationing somewhere else? Through our partnership with Interval International, a pioneer in vacation ownership since 1976, you’ll be able to exchange with other owners at over 2,900 affiliated resorts and cruise lines in more than 80 countries worldwide; plus, you’ll get exceptional discounts, travel deals and privileges you can enjoy year round. Gain the freedom to choose new destinations on a schedule that’s convenient for you. 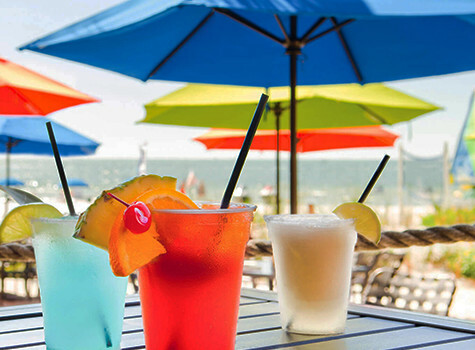 A Mini Vacation is the perfect way for new guests to experience DiamondHead Beach Resort and learn about the benefits of vacation ownership. Packages start at just $199/night. Use the contact information below to learn more about this special offer or book your mini vacation package today! Eligibility: One offer per family/household. Employees of SunStream Vacation Club and its affiliated and subsidiary companies, and their immediate families are ineligible. Mini-vacation offer is a one-time offer, if previously toured offer does not apply. This promotional discounted mini-vacation offer is designated for couples 30 years of age or older with a combined verifiable annual income of $60,000. 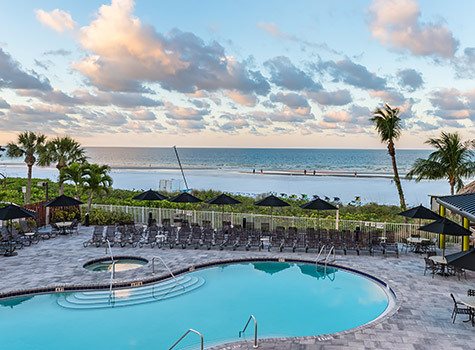 If married or living together, couples must attend an informative 90-minute vacation ownership (timeshare) preview presentation together of the SunStream Vacation Club at DiamondHead Beach Resort & Spa. One single person 30 years of age and older, with a verifiable annual minimum income of $60,000, who attends the preview presentation will be entitled to 50% of the value allocated to couples. Failure to attend the sales presentation or meet any requirements of these terms and conditions will result in the charge of the retail value of the accommodation. Must currently be employed or retired. Must be creditworthy (no bankruptcies, foreclosures, or liens in the past (2) years). Not valid for: Groups, two or more affiliated couples or singles scheduled for the same or overlapping mini-vacation dates and current owners with the SunStream Vacation Club. Promotional offer is for a 4-day, 3-night package for $299 plus tax or a 3-day, 2-night package for $199 plus tax. Offer is non-transferable. Reservations and a $199.00 + tax and $15 nightly resort fee deposit must be made prior to your stay. A valid credit card (MasterCard, Visa or American Express) and photo ID will be required at check-in. The approximate total retail value of this offer is $850.00, depending on time of travel. Offer expires on 12/18/19. Travel must be completed by 12/16/19. This offer may not be used in conjunction with any other promotion. Limited space is available. Additional nights can be added at a preferred rate. Subject to availability, blackout dates apply, not valid on holidays. Airfare, transportation, additional expenses and applicable taxes, if any, are not included with this offer. Promotional room rate does not include gratuities. Offer is subject to availability, subject to change without notice, and void where prohibited. Due to high demand, cancellation and refunds are not permitted. However, your getaway can be rescheduled, one time, up to seven days prior to the arrival check-in date. Failure to check-in on your scheduled date will result in a forfeiture of your SunStream Vacation Club/DiamondHead Beach Resort & Spa promotion. SunStream Vacation Club now offers attractive developer financing at competitive interest rates. The financial savings realized over the long term can be tremendous and provides an opportunity for guests to secure their dream vacation for years to come.